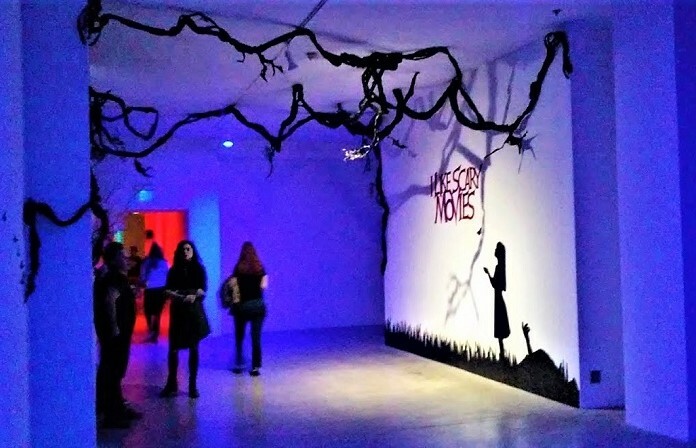 The October Country Pop Up Halloween Lounge invites horror and haunted house fans to celebrate the season. Need a stiff drink to steel your wavering courage before descending into one of the many Los Angeles Halloween Haunts terrorizing helpless victims this season? Or perhaps a medicinal libation to calm your frazzled nerves afterward? Either way, the October Country Pop Up Halloween Lounge has you covered. 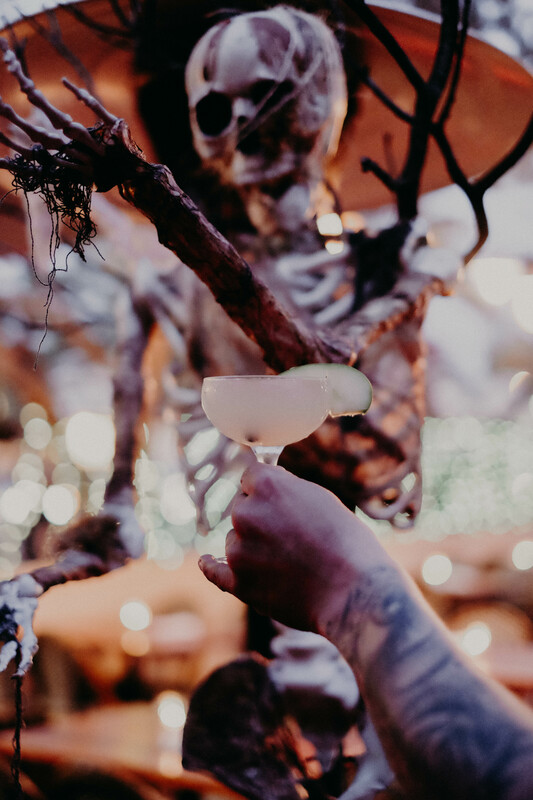 Located at the Edendale in Silver Lake, October Country offers seasonal drinks and appetizers in a handsomely decorated Halloween setting. Hollywood Gothique stopped by for a late cocktail or two on Wednesday evening, after attending the opening of Bedeviled at Zombie Joe's Underground Theatre in North Hollywood. The autumnal ambiance was in full flair, though naturally a bit subdued on a weeknight. Perusing the October Country's Halloween menu options of drinks (The Laurie Strode, The Pazuzu, The Clarice Starling, The Norman Bates, Jason Takes a Manhattan) and appetizers (Crimini Cap, Spanish Chorizo, Mince Tart), we opted to start with The Pazuzu: strawberry, granny smith, and pear mixed with ginger liqueur and garnished with lemon. The aromatic concoction was redolent of citrus, implying a sweeter flavor than it actually possessed, so we quickly moved on to The Norman Bates: Cimarron Reposado tequila, spiced apple cider, cinnamon, and lemon, garnished with green apple. This one hit the spot; the spiced cider and cinnamon blended smoothly with the tingle of tequila - a few of these and you won't be afraid of no ghosts. The October Country continues at Edendale throughout the month, with themed nights, giveaways, and the Edendale's annual Halloween party. Hours are 5pm to 2am nightly; Happy Hour is 5-7pm. Edendale's kitchen is open till 10pm Sunday through Wednesday and till 11pm Thursday through Saturday. Themed cocktails are $13-15; appetizers are $9. 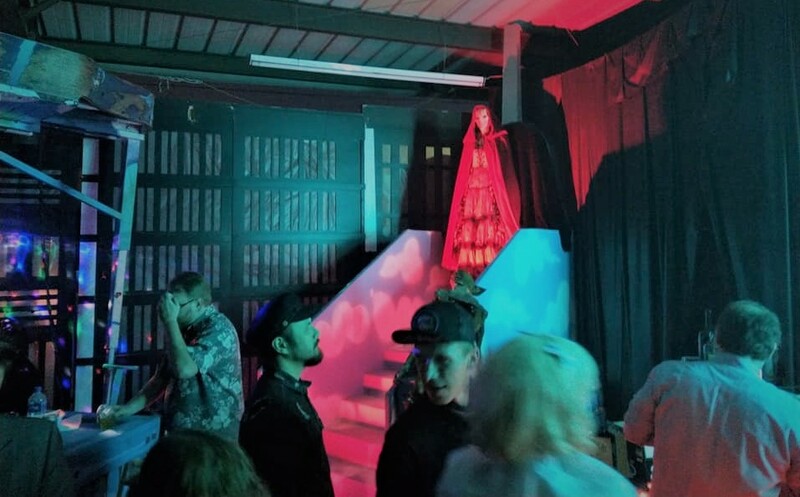 The Pop Up Lounge hopes to become a hang-out for Halloween horror fans, who can swap stories with like-minded haunt-seekers about surviving Halloween theme parks, Halloween mazes and rides, and Halloween tours and shows. The October Country Pop Up Halloween Lounge is presented by Unreliable Narrator Productions; the webpage for the event is: unreliablenarrator.org/theoctobercountry. The Edendale is located at 2838 Rowena Avenue in Silver Lake (Los Angeles) 90039. Reservations for the bar are not necessary, but dine-in guests can reserve by calling (323) 666-2000. The website is: theedendale.com. There is no cover charge.